For 2-3 hours, you and a friend can join Tanya in some watercolor play and experimenting. Learn a fun technique or two, and come out with a painting or pretty cards of your own. Tanya will preplan the session to meet your interests. 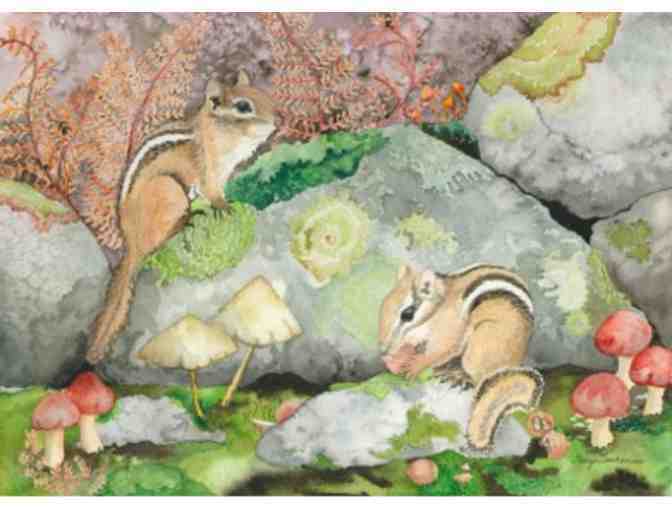 Tanya C. Tenkarian enjoys the fine details in nature and captures them in watercolors, juxtaposing the spontaneity of the medium with the intricacy of nature. Her work focuses on the patterns, color, and playfulness found in everything from a bird’s wing or turtle’s shell to a leaf’s edge or petals of a flower. So much inspiration and joy can be found in the smallest things. Tanya works out of her studio in Hollis, New Hampshire and maintains an Etsy store, Charming Nest Studio.